In a series of adorable Level 1 Ready-to-Reads, award-winning author Patricia Lakin and the ever-talented Brian Floca tell the story of two hamsters who live in a classroom as pets. Mo, a hamster who likes to know things, and Max, a hamster who likes to make things, team up to bust out of their cage and explore their art class/home during holiday time. In each story, these furry friends learn about a holiday and make a tie-in craft that readers learn to make too, thanks to Patty's simple instructions in the back of each book. 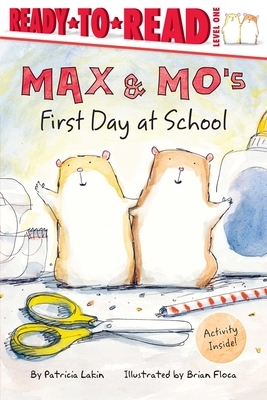 It's back-to-school time for Max and Mo. This year they are living in the art room. will these big ones learn their names?